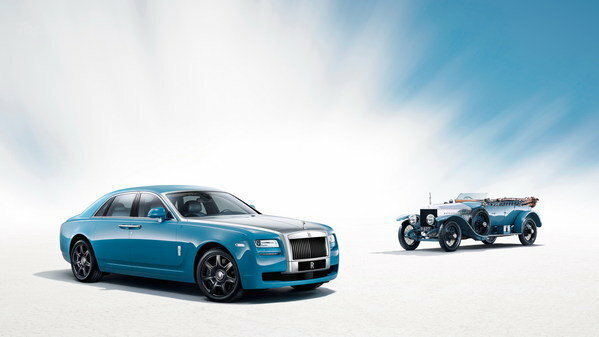 British luxury carmaker Rolls Royce has revealed that it will launch the Ghost Alpine Trial Centenary Edition at the 2013 Shanghai Motor Show to be held this year. This special edition car will be launched to commemorate the completion of 100 years since Rolls Royce’s successful participation in the Austrian Alpine Trial held in 1913. The Austrian Alpine Trials were held by the Austrian Automobile Club from the start of the 20th century and they were one of the first automobile events that challenged contestants to face the thin air, unforgiving terrain and the elevation of the Alps. Four Rolls Royce Silver Ghosts scaled 1,820 up the Alps that, according to Rolls Royce, helped the company cement its reputation for “mechanical excellence” and “peerless reliability”. While all four Silver Ghosts finished, the Alpine Trial was won by Rolls Royce contestant James Radley, also in a Silver Ghost. As is seen in most special edition variants, especially those of Rolls Royce, the Ghost Alpine trial Centenary Edition gets a lot of cosmetic additions. It sports a special blue and black 2-tone combination reminiscent of James Radley’s winning car. 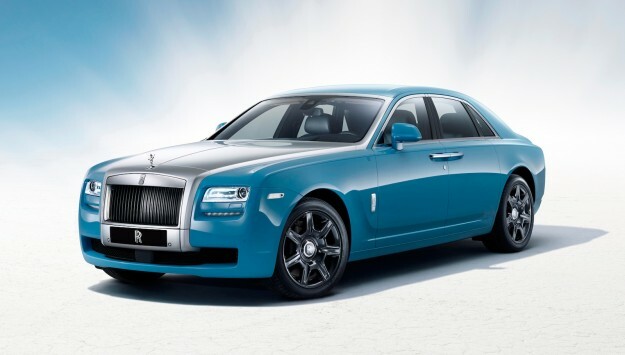 With the body sporting a blue hue and the wheels and grille wearing black, this car is the perfect testimony to one of the biggest performance feats of the Rolls Royce Silver Ghost. Another notable feature of this custom edition car is that this is the very first modern Rolls that the company has produced which features a painted grille. In addition to the usual luxuries that you find in every Ghost, In the interiors, the clock features a design inspired from the one used at the Trials, indicating the various stages of the Trials and their respective timings. 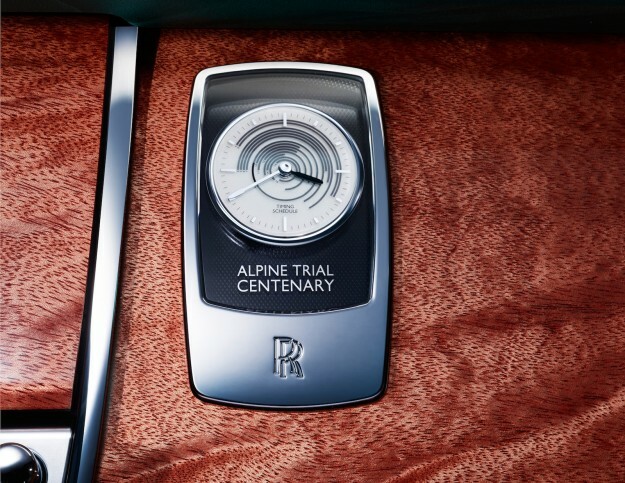 Also, the front panels depict the difficult topography and the distance of the routes taken by the Rolls Royce contestants through the Alps. Rolls Royce has also added rear picnic tables. However, Rolls Royce has not revealed any information regarding the possible price of this custom edition model or how many it is looking to roll out.